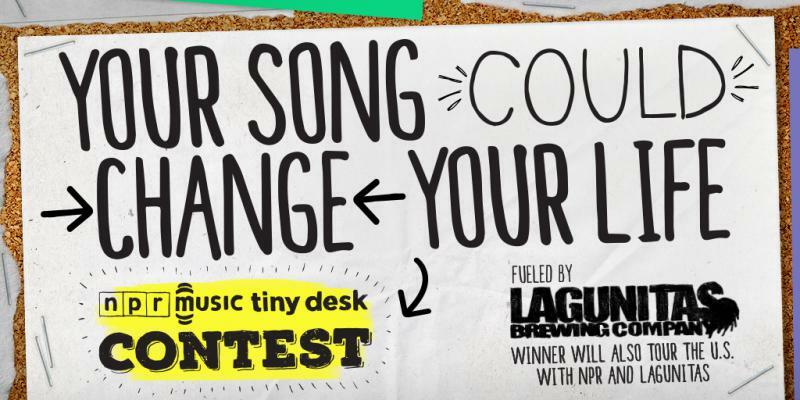 Enter the NPR Music Tiny Desk Contest! NPR Music is at it again with a call for unsigned musicians of all genres: Show us why you should perform in NPR Music's iconic Tiny Desk concert series by submitting an original video of you or your band playing behind a desk of your choosing. The winner of the Contest will secure a spot at the legendary performance space and a U.S. tour with NPR Music, fueled by Lagunitas Brewing Company.